Mammalian brain development continues postnatally, as neuronal circuits and pathways undergo maturational development in response to experiences in early life. Therefore, epigenetic mechanisms that act at the interface of genetic and environmental information are increasingly recognized for their essential roles in postnatal brain development, and they are thought to play an important role in learning and memory. Here we review some of the emerging examples of human genetic neurodevelopmental disorders with known epigenetic etiologies and use these examples to speculate on the potential epigenetic etiology of the more common forms of idiopathic autisms. 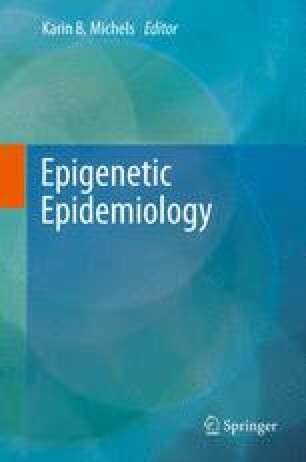 Understanding the epigenetic and biochemical pathways disrupted by genetic disorders can help direct the field of epigenetic epidemiology in its search for evidence of environmentally altered pathways, including investigations of how environmental factors such as nutrition and toxin exposures may contribute to epigenetic information essential for the higher cognitive functions associated with language and social behavior. The authors thank Dr. Michael Gonzales and Weston Powell for helpful review of the manuscript. This work was supported in part by NIH grants 1R01ES015171, 1R01HD048799, and 2R01HD041462 (JML); and by NIEHS training grant T32 ES007058-33 (RW).